The Millennium Development Goals, agreed to by governments in 2000, were criticized for insufficiently addressing gender inequality, referring to women’s empowerment in only one of the eight goals. Their successors, the Sustainable Development Goals, do so more comprehensively, including sub-targets that touch on gender in every one of the major goals. “With women’s empowerment embedded into all 17 of the Sustainable Development Goals, we’re well on our way to a path to make an even bigger impact in ending global poverty by 2030,” said Richard Parker, vice president of marketing and communications at Project Concern International, a non-profit working to promote social and economic empowerment of women, at the Wilson Center on May 19. Women are “starting businesses, investing back in their families and communities, and ensuring that their children have nutritious meals and access to health care,” said Parker. But giving every woman and girl the opportunity for a fully productive life requires closer cooperation between governments, the private sector, and NGOs than we’ve seen so far, according to a panel of representatives from these sectors. “There is better chance for innovation when you have all the voices around the table,” said Gwen Young, director of the Wilson Center’s Women in Public Service Project, which aims to ensure that by 2050 at least 50 percent of all public service leadership positions are held by women. “We can’t have continued and sustained success without working to improve the status of women, the engagement and connection of women in society and within our business,” said Curtis Etherly, director of federal affairs and international stakeholder relations for The Coca-Cola Company. The #5by20 project is a commitment by Coca-Cola to empower 5 million women by 2020 by engaging them throughout the company’s value chain and helping them become distributors, retailers, and business owners, Etherly said. Coca-Cola identified three major areas in their business where women could play a significant part: supply, production, and distribution. In partnership with the non-profit TechnoServe and the Bill and Melinda Gates Foundation, the company is helping more than 50,000 mango and passion fruit framers in Kenya and Uganda. Project Nurture trains women and their families on quality improvement, increasing production, and agricultural best practices, allowing smallholder farmers, who were previously unable to access market opportunities, to double their incomes, said Etherly. Gender equity is “at the core” of many of these partnerships, Reichle said. The SPRING Accelerator program, for example, is a public-private partnership with the Nike Foundation and the UK Department for International Development to provide capital, technical assistance, mentoring, and networking to businesses working with adolescent girls in Kenya, Uganda, and Rwanda. One of the businesses funded by the SPRING Accelerator is AfricAqua, which is developing decentralized safe water systems in Kenya through a network of shops in rural areas, shortening the amount of time girls spend collecting water. BanaPads, another venture supported by SPRING Accelerator, provides low-cost sanitary pads made from agricultural waste materials (bananas). Women in local communities produce the sanitary pads and young female entrepreneurs market and distribute them. “There’s a tremendous opportunity…to support girls to develop the skills and confidence to be leaders,” Reichle said. Another project funded in part by USAID is PCI’s Women Empowered Initiative, which establishes self-sustaining women’s savings groups. Its director, Sarah Emerson, said what sets it apart is a focus not just on access to capital but building up the self-worth and a sense of what’s possible for its members. Increasing access to capital is “fairly simple,” said Emerson. But women don’t necessarily have ownership of productive assets or decision-making authority about investments. WE builds leadership skills by pushing women into new roles. “Everyone takes turns being a leader,” Emerson said. “It’s usually very scary and usually the first time that they are in such a position, but we do find it very impactful.” Each women’s group is also trained on goal setting and action planning. “Our sustainability model is that the women know how to run their own groups,” said Emerson. “What we don’t want to do,” said Emerson, “is try to be all things to all people.” WE works with 18 local partners in 19 programs across 12 countries, according to its annual report. WE groups around the world, comprising more than 438,000 members, have surpassed $3.5 million in cumulative savings and over $2.9 million in loans issued. Collaborating with other organizations has also allowed PCI to develop more effective metrics to measure impact. In concert with the International Center for Research on Women, PCI is building the second iteration of its Lives Changed Indices, which measures indicators across seven sectors: poverty, education, food security, social capital, household economics, health, and gender equity. It’s “a multi-dimensional survey tool that is typically administered at the beginning of our engagement with women, and then toward the end of the engagement,” Emerson said. The indices allow PCI to benchmark those “more difficult or hard to measure components, such as social capital,” said Emerson. Although these projects illustrate some of the various efforts underway to fully integrate women into the global economy, “we’re still stagnated in terms of labor, earnings, work conditions, advancement, entrepreneurship, and digital inclusion,” said Greta Schettler, vice president of WEConnect International, an organization working to ensure at least 51 percent of businesses outside the United States are owned, managed, or controlled by women, and can succeed in global markets. Harbison said they recently redesigned their impact evaluations to better capture qualitative metrics. They identified project-specific indicators along with higher-level indicators, like the participation of women, which could apply to all projects at the agency. Harbison said the addition of qualitative data has helped USTDA “determine the impact power has on gender” and, in doing so, justify the importance of electricity projects such as Power Africa that explicitly involve women. 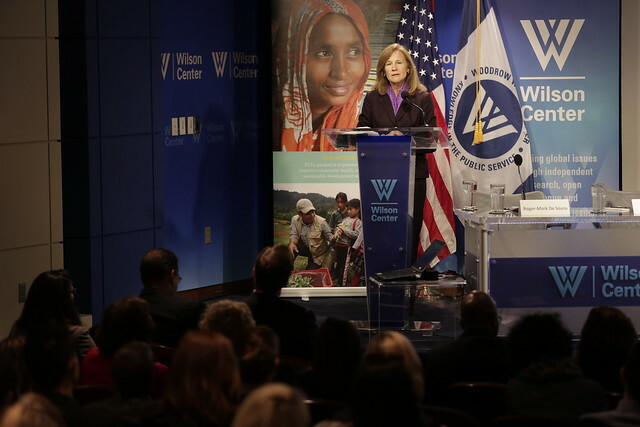 Such public-private partnerships can “really move women’s empowerment forward,” said Schettler. Sources: AfricAqua, Banapads, The Coca-Cola Company, The Guardian, Project Concern International, U.S. Agency for International Development, U.S. Trade and Development Agency. 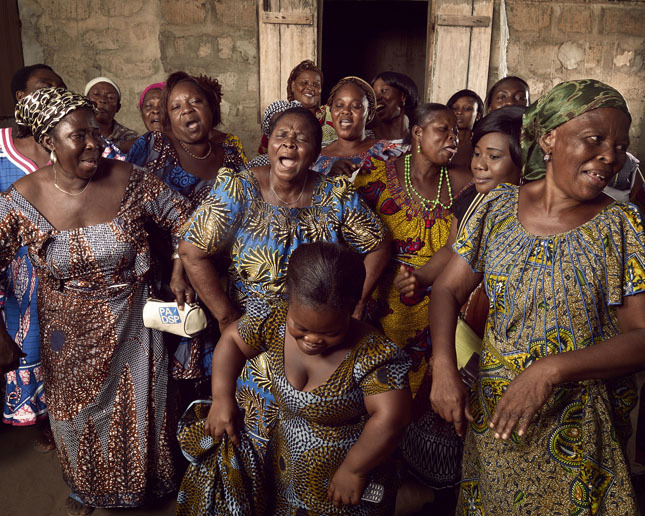 Photo Credit: A women’s association in Lomé, Togo, courtesy of the World Bank.